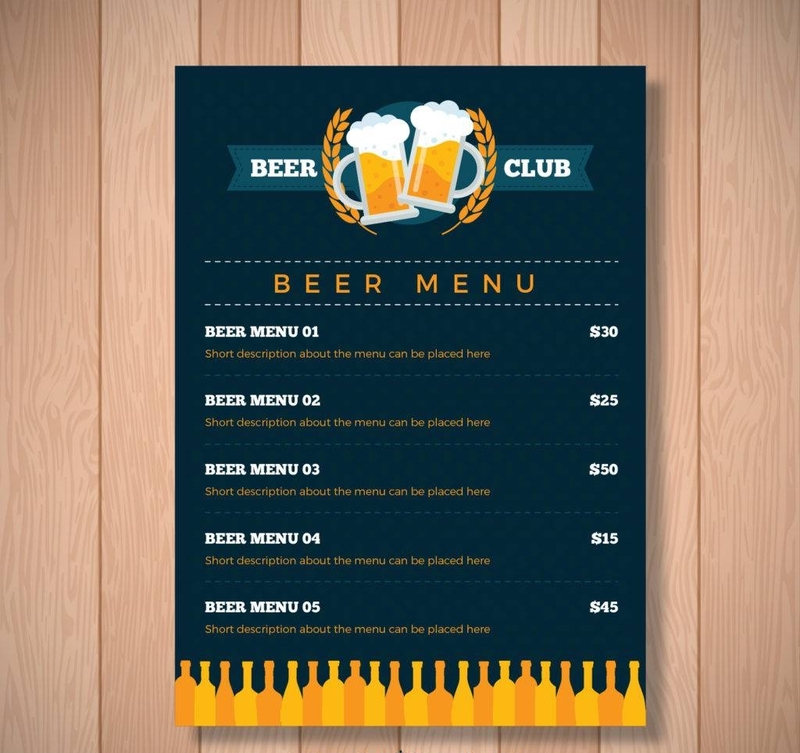 Your beer menu is where your customers would be looking into when they would be availing of your beer products. Now, imagine if you have a poor presentation of your beer products–that is equal to throwing money away as well as keeping new and loyal customers away from your buying any product from your business. 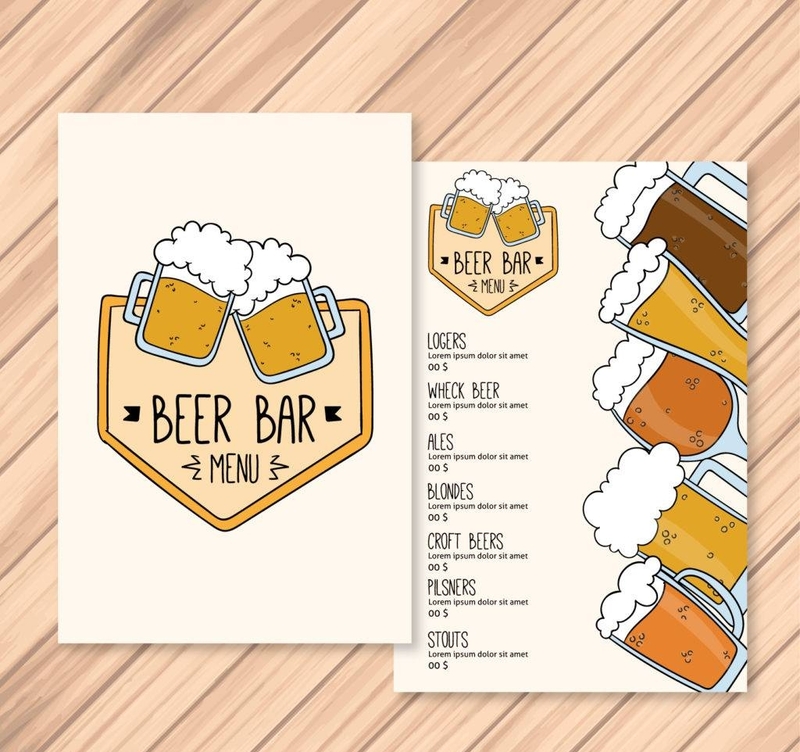 That is why your menu design would really matter especially if in the first place, you were not able to think about it that much or that it is one of the things you least prioritize when you were just putting up in your bar or pub. 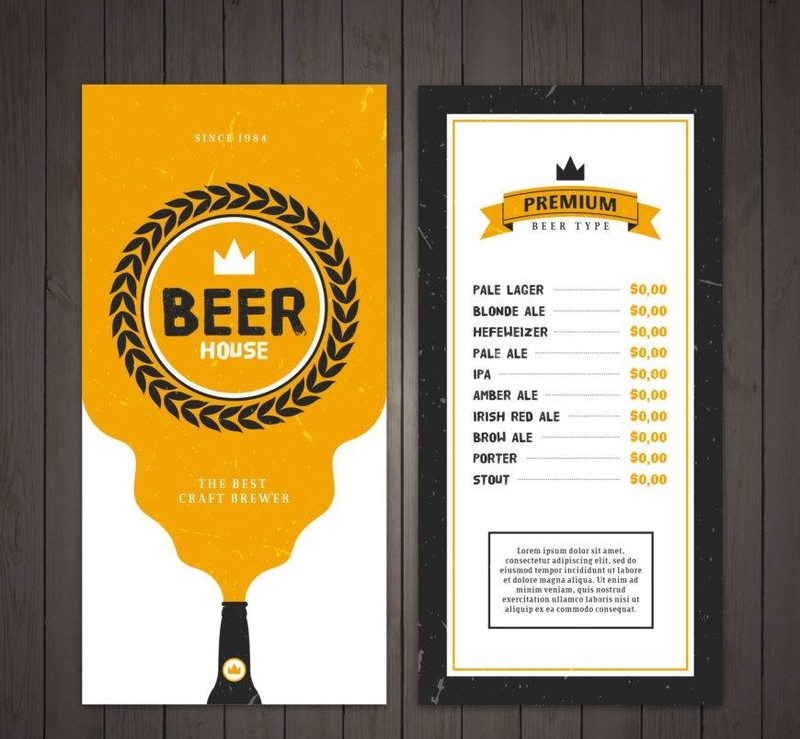 Your beer menu design is like an advertisement of your bar or pub because even if a menu is just a combination of colorful fonts, vectors, images, text, and even space, the way you would be combining all these elements would matter and affect how your business will perform.you may also see bar menu designs. 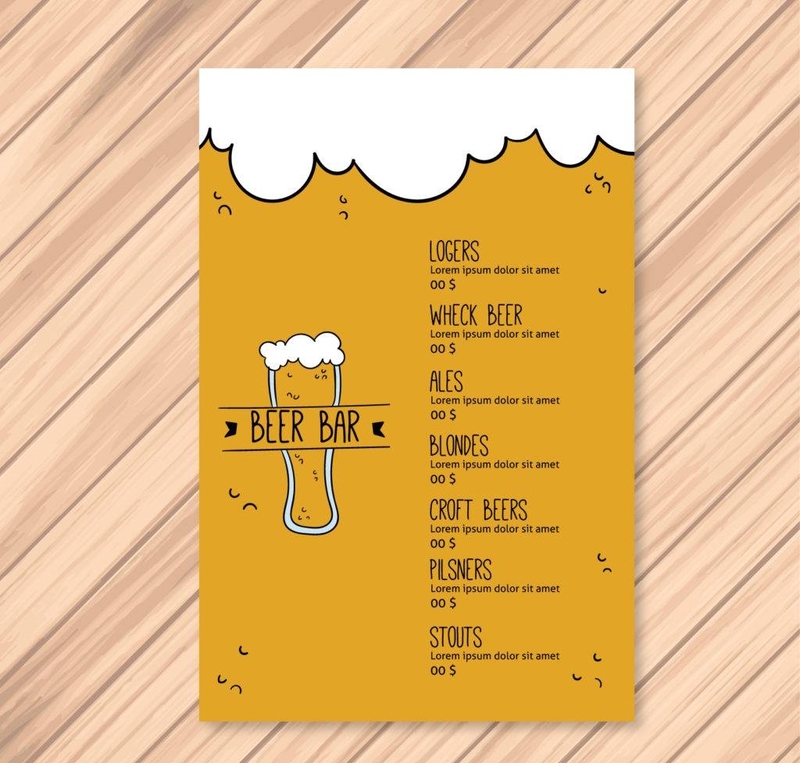 Do not send a wrong message to your customers if you show a half-baked effort with your beer menu design. 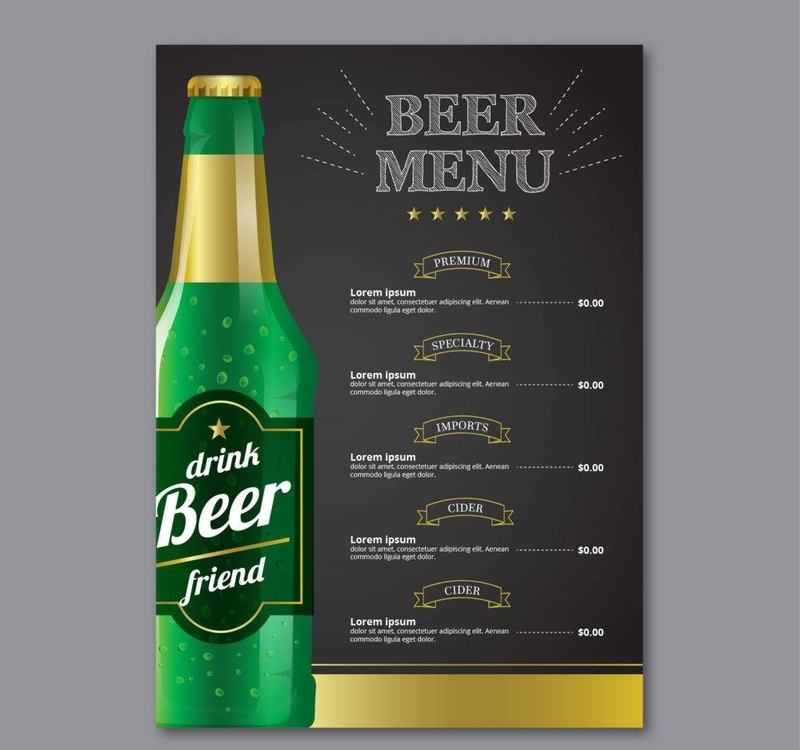 Your beer menu design should be one of the easiest tasks you do for your bar or pub and if that simple thing will be neglected then your customers might think that your service towards them will be easily compromised since you cannot handle even the easiest of tasks. 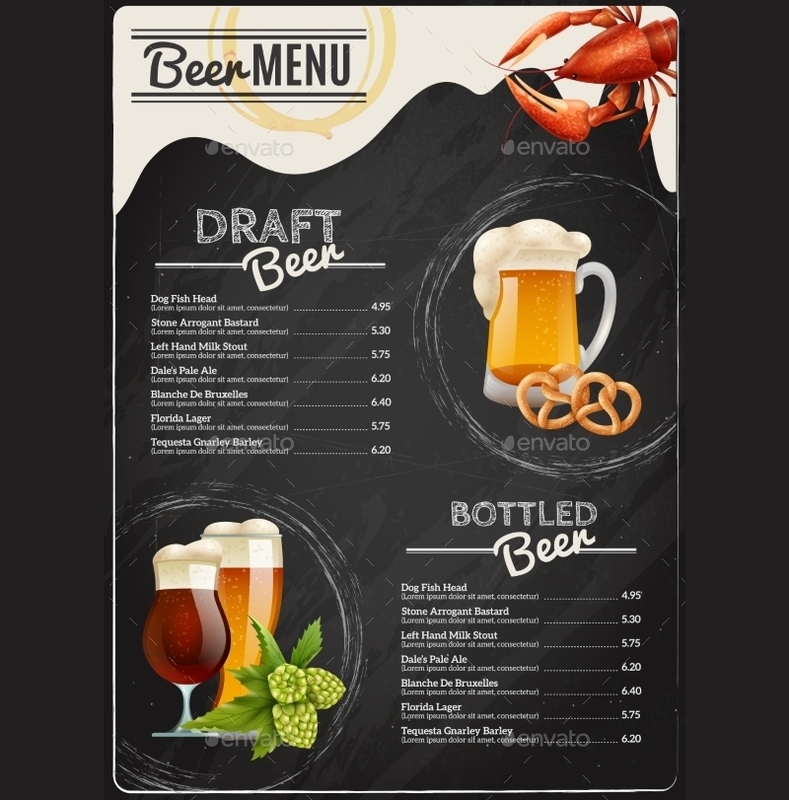 There are so many things that you should be considering if you are planning to make or update your beer menu. The following list of six items will narrow down the things that you should be considering for your beer menu. 2. Consider the options you provide in your menu. 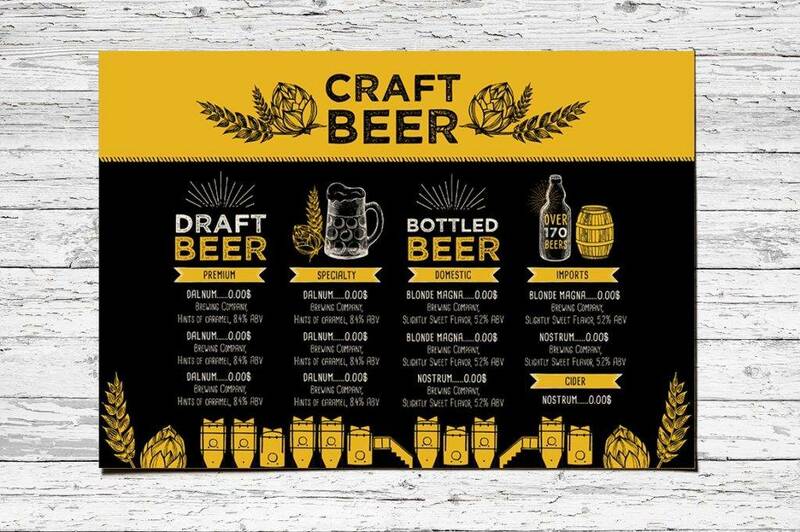 Be sure not to overwhelm your customers with the list of beer written on your beer menu. 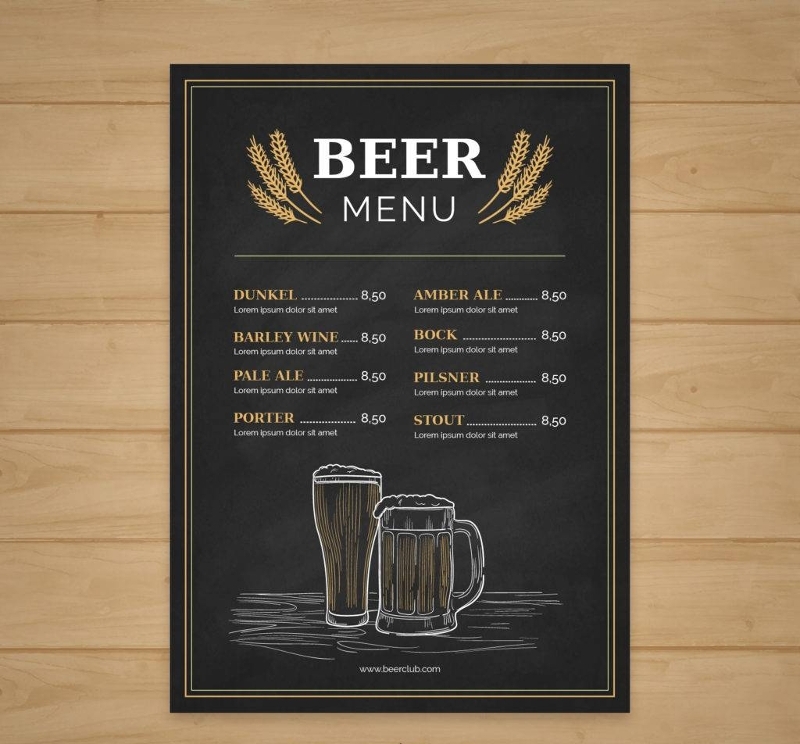 You can always categorize your beer menu and provide an ample amount of beer options for your customers. Make sure you would always include what common drinks customers would often buy. Actually, you can always go beyond with whatever number of beer products you want to however since there is no particular law that prohibits you to do so. However, providing a long list of choices would overwhelm your customers and it would also overwhelm your baristas because what if a customer would suddenly order an usual drink and that it is not available since most of the things they would stock for your store are those products that are commonly ordered? But even though so, do not also limit their choices; have at least five options for every category you can think of. 3. 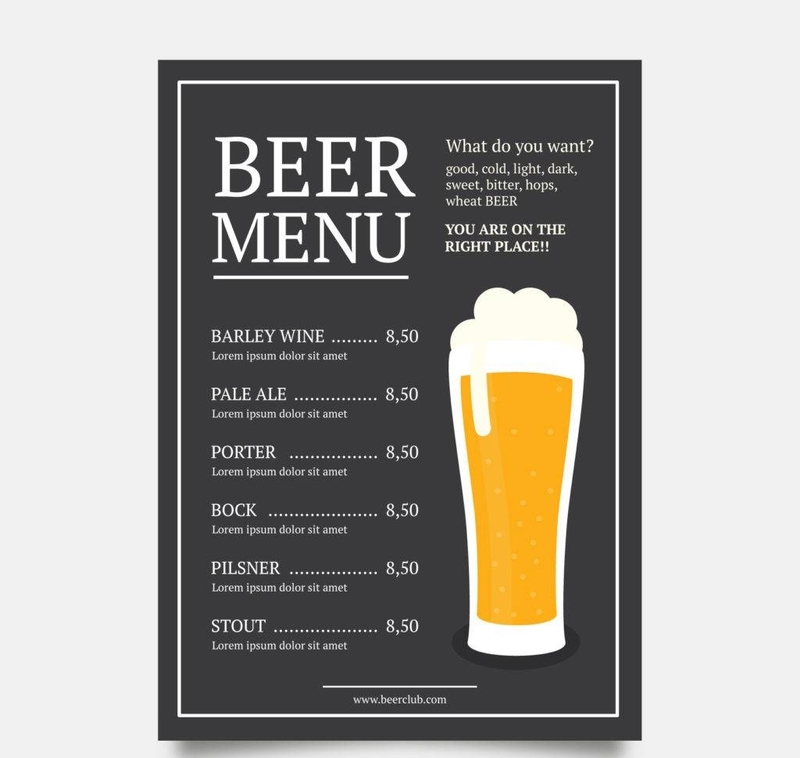 Consider your beer menu constantly updated. Ask your customers about what new product they could suggest that would be offered your bar or pub. 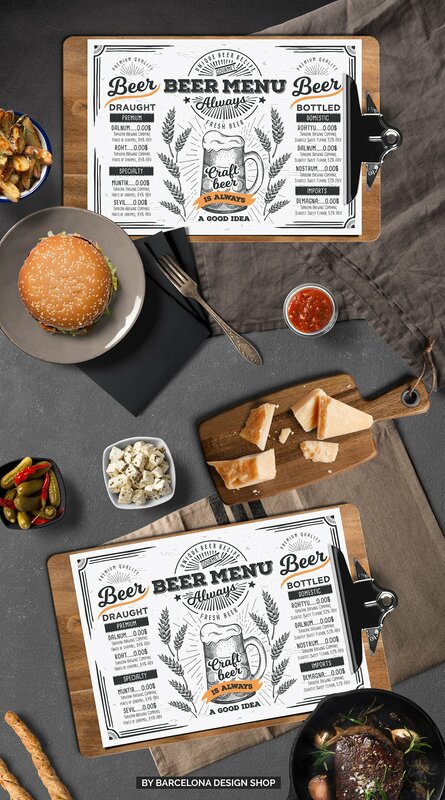 Consider this as one way of looking for ways to update your beer menu. Sure, you can always look through the internet of what trending beers are out there; however, the internet could not identify what your locals would want to order from your store. But it does no harm if you would succumb to sensationalism; you can always adapt your menu from what the sought after a beer is at the moment. 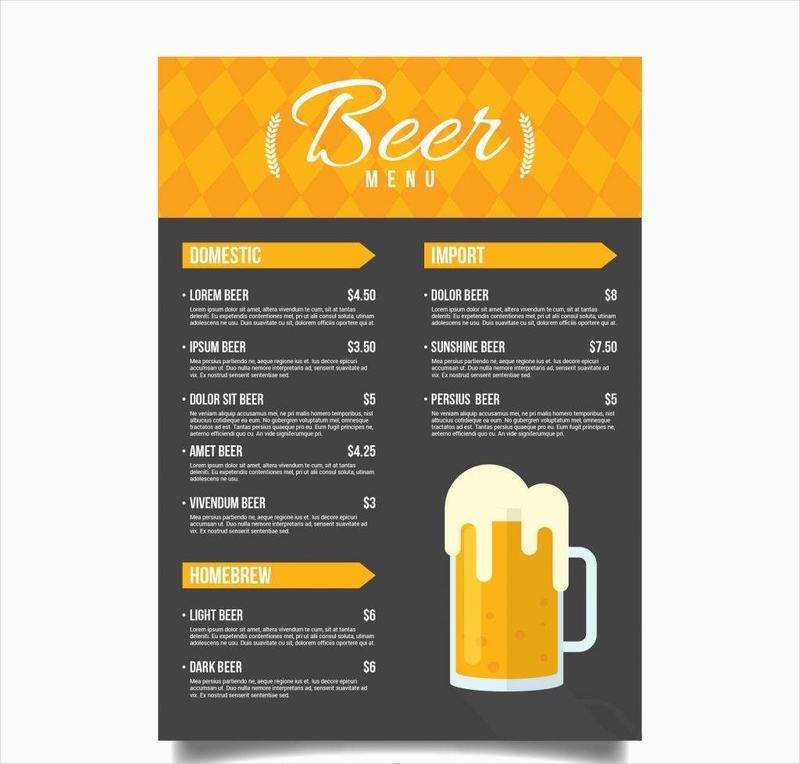 Updating does not only mean you have to add more products; it could also mean that you can remove some beer products that are rarely ordered.you may also see modern menu designs. 4. Consider adding descriptions beside each drink. Not only it is fun to read but adding descriptions beside each drink would make a big difference to your beer menu. 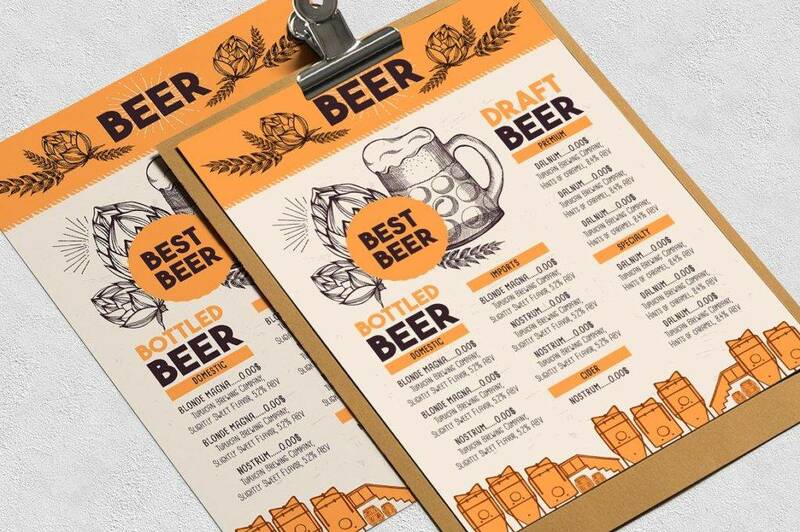 Drinks are not that common to be placed with a corresponding description that is why you can make a difference if you put each one of your beer menu listings. You can make use of the beer’s ingredients to guide you in making descriptions of your beer menu products. 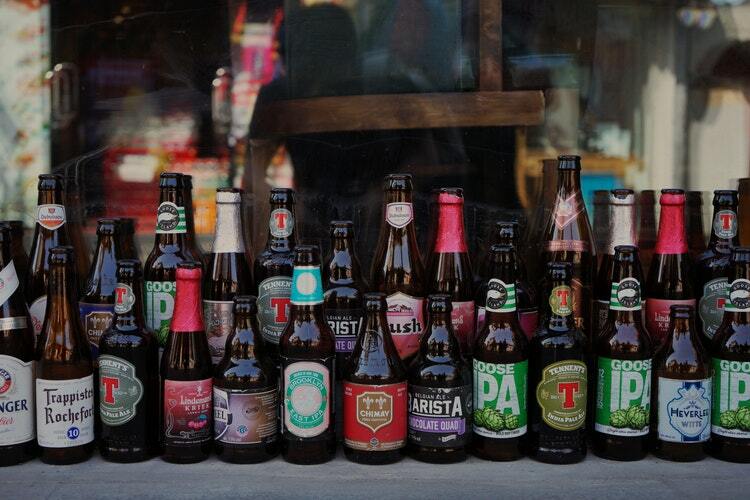 You can also describe it with the use of adjectives and even by describing the taste of your beer products. However do not go overboard though as this can definitely annoy your customers. 4. Consider creating creative names for your menu items. Adding creative names would spice up your menu but, of course, do not forget to add the real name of the bear–just pair it up with a creative name beside it. For example, for Ale, you can name it “Hail Ale”, for Lager, you can name it as “See ‘ya Lager”, for Bock kind of beer, you can spice it up by naming it “I got your Bock”, and the possible creative names go on. It’s really up to you as the owner of the bar or pub on how you are going to give a creative twist to your name since that could already be a form of advertising. Customers will be amazed by your wit and humor that they will be sharing their experience with their family and friends. 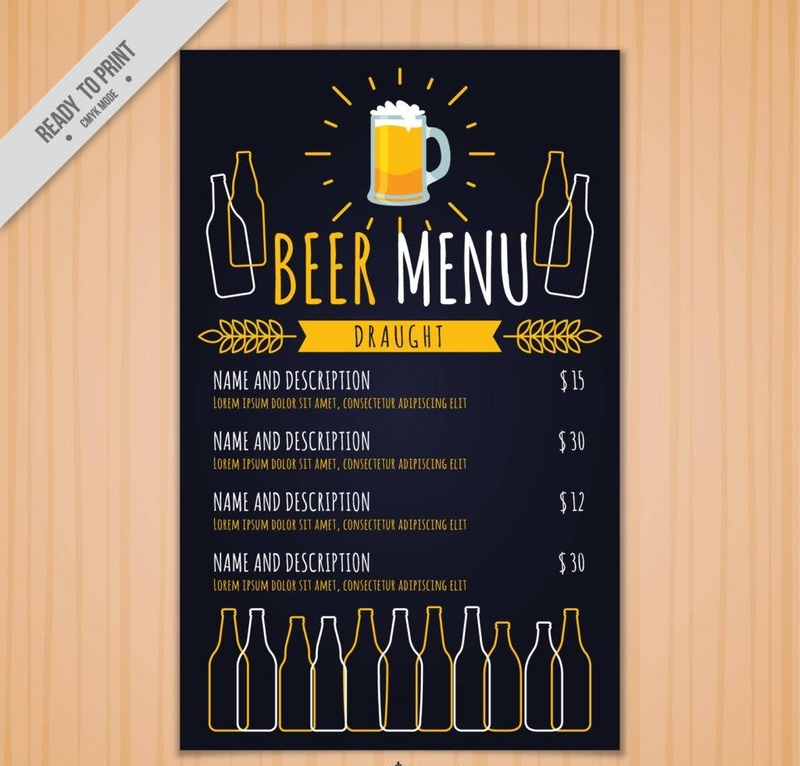 You are not only showcasing your creative aspect; you are also able to gain customer out of a simple creative change in your beer menu.you may also see wine menu. 5. Consider including the beer prices on your beer menu. Some people would be discouraged to buy any item from the menu that has no price written beside it. Not everyone can afford an expensive pint of coffee and a menu with no price written on it would give them doubts resulting in them not ordering anything at all. 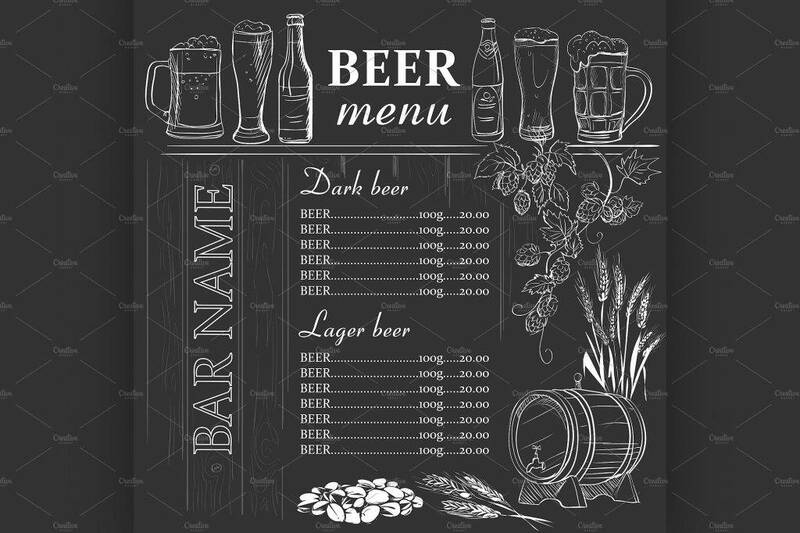 Possibly, you may not want to place your price list so that when a customer would come by and order, he can just order what he wants and the price of the beer product would just be a surprise. However, there are customers who do not want to be surprised especially if the beer comes at a hefty price and they might perceive the absence of the price list on your menu as a form of trickery. Normally, when customers would choose from any kind of menu card designs, their eyes would look immediately look first at the top right-hand corner of the menu. Place your profitable drinks to where their eyes would usually fall in first and this would definitely attract their attention and they would most likely go after and buy the drink that will attract them the most. 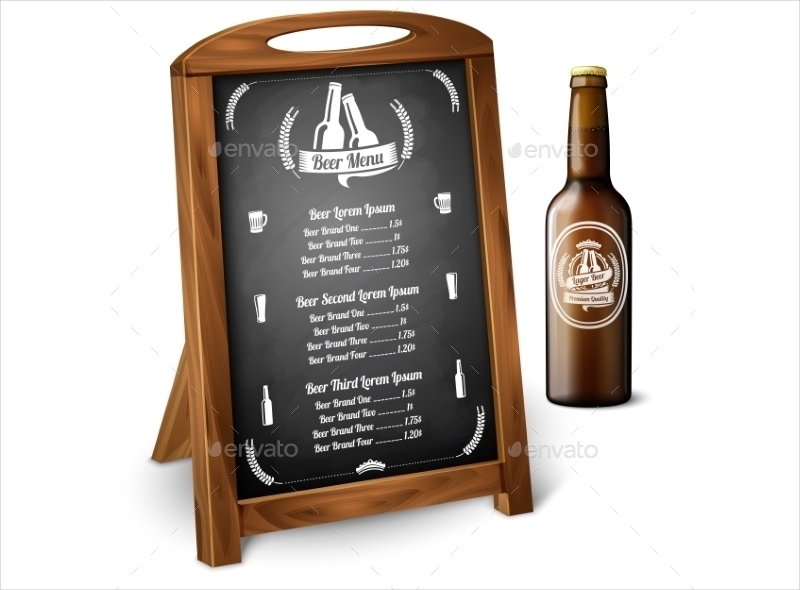 Regardless of the price, the eyes of a customer who has not made up what to order yet even before coming in your bar or pub would immediately go straight to the part where they first set their eyes upon even if their eyes had already wandered to the rest of the parts of your beer menu.